From the beginning of the project and continuing through construction, Gibbs' performance has been exemplary. The outcome of our team effort has been well received by the City of New Orleans and the residents of the Marigny and By-Water neighborhoods. 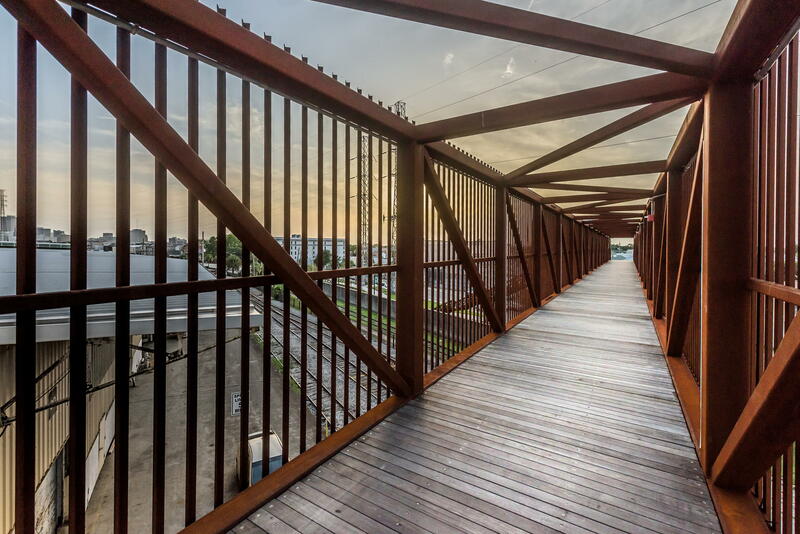 Mandeville Crossing is a pedestrian bridge providing access to New Orleans’ newest public park, the 1.4-mile-long Crescent Park at the Mississippi River’s edge in the historic Marigny and Bywater neighborhoods. 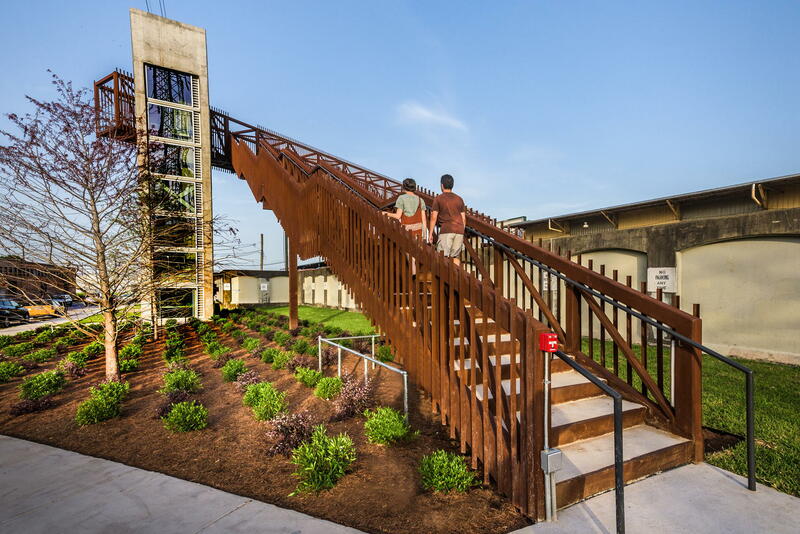 This $2.3 million project features stairs and two elevators that connect to an elevated walkway crossing over the Mississippi River floodwall and active railroad lines, along with new landscaping and sidewalk work at the bridge entrance. 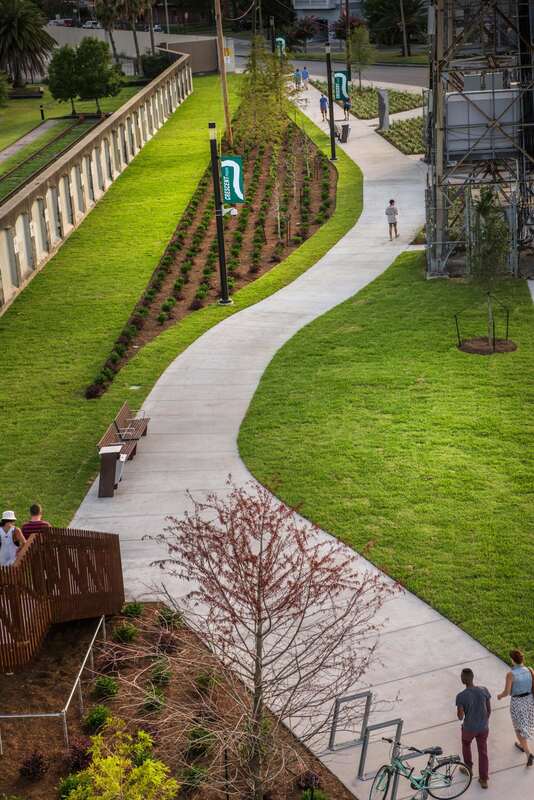 The bridge itself and Crescent Park as a whole grant unparalleled views of the New Orleans skyline and the Mississippi River, creating an environment for locals and visitors alike to interact and enjoy new vantage points of New Orleans and recreational space along the riverfront. 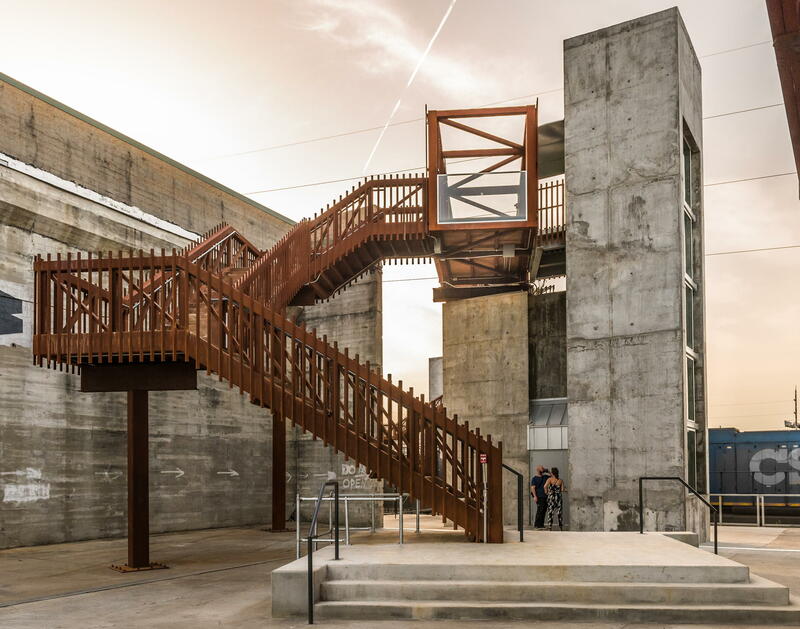 One of the major milestones of the project was successfully completing the lift and placement of the 77,000-pound bridge across the Mississippi River floodwall and the active New Orleans railroad system.